That was actor and writer Harvey Fierstein‘s message to media members Tuesday at the Television Critics Association Summer Press Tour. “You don’t update history. You tell history,” he said, when asked about the theme of integration. “You be true to it or as true to it as you can. During the press event, producers said that two songs from the 2007 movie adaptation starring John Travolta, Nikki Blonsky and Queen Latifah will make the TV version. Obviously, the original ones from the stage play will be also be included. 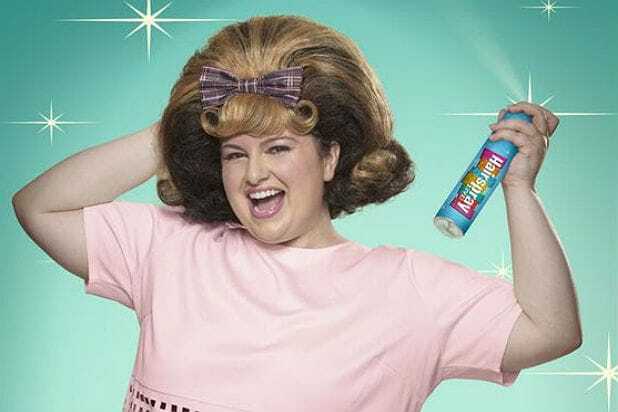 Additionally, those running the show revealed that part of “Hairspray Live” will take place on a backlot, much like “Grease: Live.” Only, the outdoor Universal area is a much larger space than the Warner Bros. one that Fox used, live TV director Alex Rudzinski said. Later during their Tuesday afternoon stage time, producers revealed that Sean Hayes and Rosie O’Donnell are set to join the cast, which is already loaded with the likes of Ariana Grande, Derek Hough, Jennifer Hudson, Kristin Chenoweth, Martin Short and others. Newcomer Maddie Baillio (pictured above) will play the lead role of Tracy Turnblad. Kelly Ripa had 68 different "Live" guest co-hosts since Michael Strahan left the show for "Good Morning America." Ryan Seacrest may be the winner of the permanent sweepstakes, but he's nowhere near No. 1 in this ranking. Let's look at every guest-hosted "Live" episode's Nielsen ratings. Also Read: Kelly Ripa’s First Wave of Guest Co-Hosts: Who Had the Best and Worst TV Ratings? Also Read: Are Dwayne Johnson and Kevin Hart the Last Hollywood Stars? Also Read: NBA Finals Rematch Ratings Preview: Can ABC Get a 7-Game Series, Please? Guests: Eric Dane, Freddie Prinze, Jr. Guests: Denzel Washington, Cast of "Impractical Jokers"
Also Read: Will Fred Savage’s New Fox Deal Take Him Out of the Kelly Ripa Co-Host Sweepstakes? Guests: Jeffrey Dean Morgan, Jennifer Morrison, Cast of "Impractical Jokers"
Guests: Kal Penn, Rachel Bloom, O.A.R. Also Read: Did Britney Spears Just Clap Back at Katy Perry? Also Read: Will Ryan Seacrest Host ABC’s ‘American Idol’? So that's what you've got to beat out, Ryan Seacrest -- good luck with all that! TheWrap's latest news and analysis from Television Critics Association press tour.